Although I own only two Hermès items–scarves that were gifts from students—I couldn’t wait to visit the new Hermès shop on the Left Bank in Paris. The just-opened (November 2010) flagship emporium, in the 6th arrondissement on the rue de Sèvres, boasts stunning interior architecture. This three-level boutique has tall (more than 25 feet) sculptural, latticed wood cages that enclose home furnishings. A stairway with massive curved wooden sides is a sculptural marvel. Almost half of the store is dedicated to home items, including arts for the table. 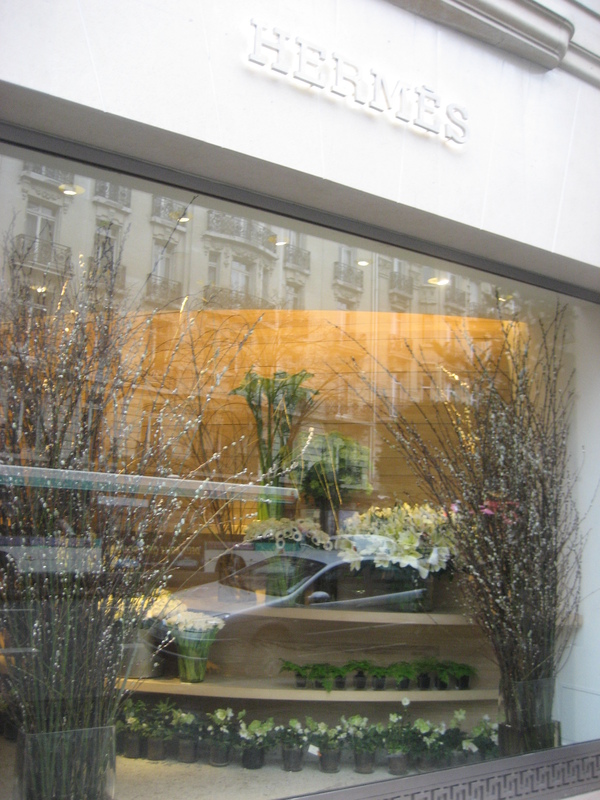 There’s a bookstore, with art and design tomes, as well as a flower shop, Baptiste, right at the entrance, that displays some of Paris’s most beautiful blooms. I was only looking, but enjoyed every minute of my stroll through this special addition to Paris’s shopping scene. 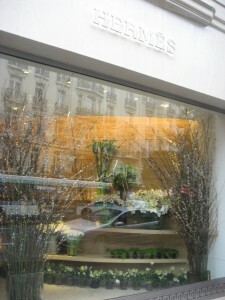 This entry was posted in Out and About and tagged Hermes new store, Left Bank, Paris by brosbottom. Bookmark the permalink.